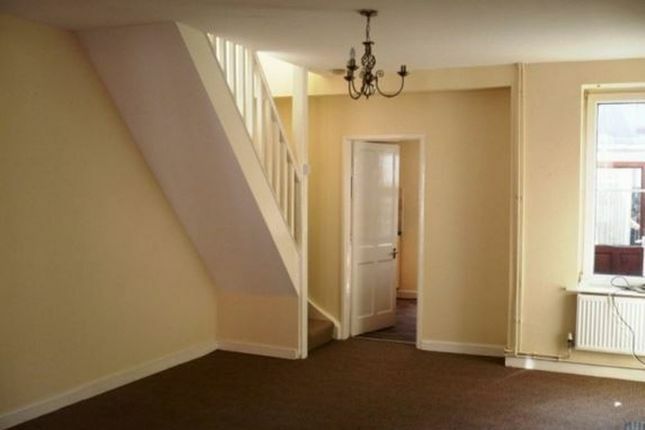 This is a modernised and refurbished two bedroom mid terraced property with neutral decor throughout, quality fitted carpets & lino flooring. Fitted kitchen with integrated electric cooker & gas hob, tiled bathroom with white bathroom suite. Large lounge with UPVC double glazed windows to front and rear giving a light modern feel to this property. Two good size family bedrooms, gas central heating & UPVC double glazing. This property also offers a low maintenance forecourt garden to the rear The property is currently being sold with a sitting tenant at a rental income of £300 per calendar month. Property descriptions and related information displayed on this page, with the exclusion of Running Costs data, are marketing materials provided by Property Plus Wales, and do not constitute property particulars. Please contact Property Plus Wales for full details and further information. The Running Costs data displayed on this page are provided by PrimeLocation to give an indication of potential running costs based on various data sources. PrimeLocation does not warrant or accept any responsibility for the accuracy or completeness of the property descriptions, related information or Running Costs data provided here.